COMECER Group – a leader in designing and manufacturing isolation equipment and systems intended for the pharmaceutical and nuclear medicine industries and selling in more than 100 countries around the world, announces the signing of the agreement with CO.DON AG – a German biopharmaceutical company committed to research, development and marketing of autologous cell therapies for the repair of cartilage defects, – relating to the supply of modular isolator and cell culture incubation systems in aseptic environment for the new production site being built in Leipzig. The value of the contract is approximately € 10 million. The installation and consequent start up of COMECER equipment at the Leipzig plant is foreseen in the next 10-12 months. 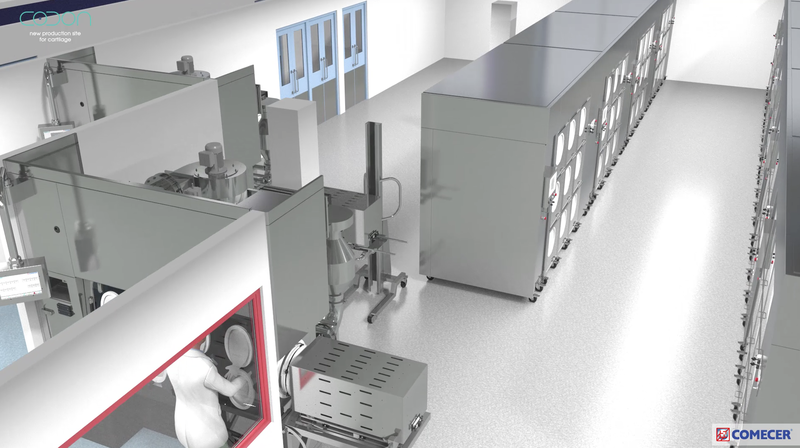 This order, which confirms COMECER`s high reliability and the excellence of its products, is particularly important since the equipment made in Castel Bolognese will be used inside one of Europe`s main biopharmaceutical plants. Alessia Zanelli, CEO of Comecer Group: “We are honoured to be part of this great project in what is considered the future of medicine. The fact that our patented technology has been selected by CO.DON makes us proud and confirms the considerable commitment undertaken by our company in this rapidly developing sector”. Ralf Jakobs, CEO of CO.DON AG: “We are delighted to have such an experienced partner as COMECER, with its many years of specialist expertise. Together we will perform this challenging task. CO.DON is entering a new dimension: once all the work is finished, the production site will be one of the world’s largest and most modern plants for the industrial-scale production of human cells. It will enable us to ensure the supply of the highest quality cell therapy products to our customers in Germany and Europe going forward”. From left to right: Comecer’s Alessia Zanelli, Emiliano Spagnolo, and Massimiliano Cesarini; CO.DON’s Ralf Jakobs, and Andreas Gottschalk. 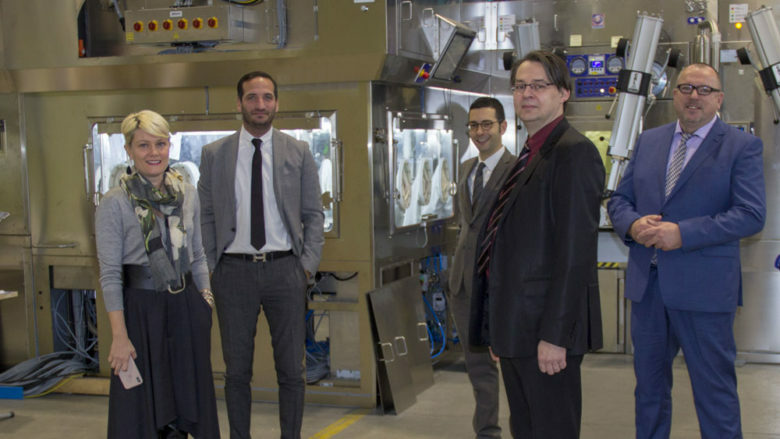 The COMECER GROUP develops and produces systems and equipment for containment and management in aseptic and shielded environments dedicated to the production of pharmaceuticals and radiopharmaceuticals, in addition to the preservation and treatment of stem cells. It is a leading provider of technology in the Pharmaceutical and Nuclear Medicine sectors, and specialises in isolating systems for regenerative medicine and tissue engineering. COMECER technology is used worldwide in hospitals, universities, research institutes, pharmaceutical companies and large industrial groups. With a production value of about € 53 million (December 2016), COMECER was established in 1975 by the Zanelli family, which still has the majority shareholding of 55%, while the remaining 45% is held by the Principia III Fund, which replaced the Fondo d’Investimento Italiano in 2015. CO.DON AG listed on the Frankfurt stock exchange, is a biopharmaceutical company committed to research, development and marketing of autologous cell therapies for the repair of cartilage defects. Co.don designs therapeutic products that only use the patient’s own cells and blood, are additive-free and the procedure is minimally invasive. To date, over 11,000 patients have been treated in 200 clinics in Germany. In July 2017 Co.Don AG received marketing authorisation for the advanced therapy medicinal product, Spherox, from EMA (European Medicines Agency). Ralf M. Jakobs is a member of the Board of Directors.